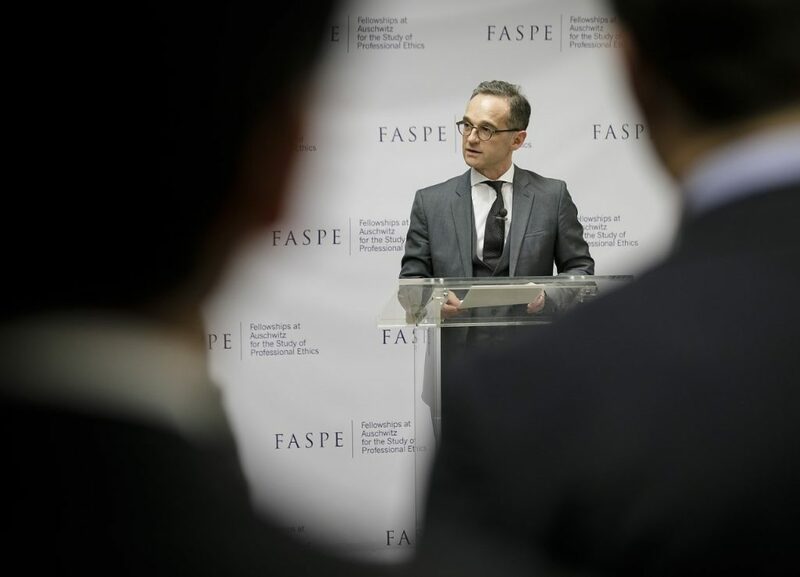 At a private reception at LRN on April 2, German Foreign Minister Heiko Maas accepted FASPE Posthumous Award for Ethical Leadership on behalf of the late German-Jewish prosecutor and judge Fritz Bauer. 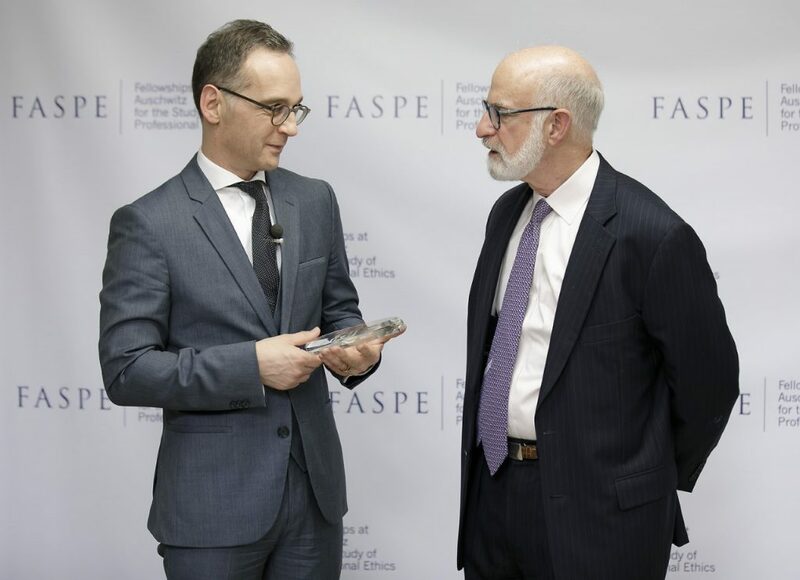 David Goldman, Chair and Founder of FASPE, presented the Award to Maas. Fritz Bauer (1903 – 1968) was a German-Jewish judge and prosecutor who prosecuted Nazi officials following World War II in German courts, despite active opposition from his superiors. Raised in Stuttgart, Bauer became Germany’s youngest judge in 1930 at the age of 26. In 1933, he was dismissed from his position and arrested and imprisoned for political activity against the Nazi party. Bauer fled to Denmark in 1935 and later to Sweden. After the war, in 1949, Bauer returned to Germany, eventually becoming the chief prosecutor for the State of Hessen. He focused his career on reforming the German justice system and bringing Nazi officials to trial at a time when Nazis continued to hold key government positions and anti-Semitism continued to pervade German society. Bauer set in motion the arrest of Adolf Eichmann in 1960. He is probably best known for the Frankfurt Auschwitz Trials, which began in 1963 and brought to trial 22 former officials of the Auschwitz-Birkenau death camp.